After the unfortunate end to my job at Motel Rocks, I decided I still really love the clothes and the company so it made sense to become a street teamer! I talk about the clothes a lot, and always have one or two items popping up on my wish lists, so what could be better than offering you guys 20% off anything that I mention, or anything you have your eye on! In order to get your 20% off all you need to do is click on the banner below or just go to the Motel Rocks website and at the checkout enter the code 'sophiepalms', it is only valid online at Motel so you can't use it on any other online stores like ASOS or Topshop, but throughout the year I will be able to give you guys extra discounts and promotions so it's a winner for all of us! I also picked the button that had the 'Penny Dress in Black and White Stripe' as the image, a dress which you all know I am besotted with! It's back in stock now too so get it before it's gone! I'm still really friendly with the team at Head Office and during my time as an intern become good friends with Lora; who has recently photographed the 'Valentines Collection' imagery. I love these images, I love the models hair it fits so perfectly with the styling and graphics, and I love how simple they are. At the moment there is a competition on to win two very different Valentines nights both including a £50 Motel Rocks gift card! 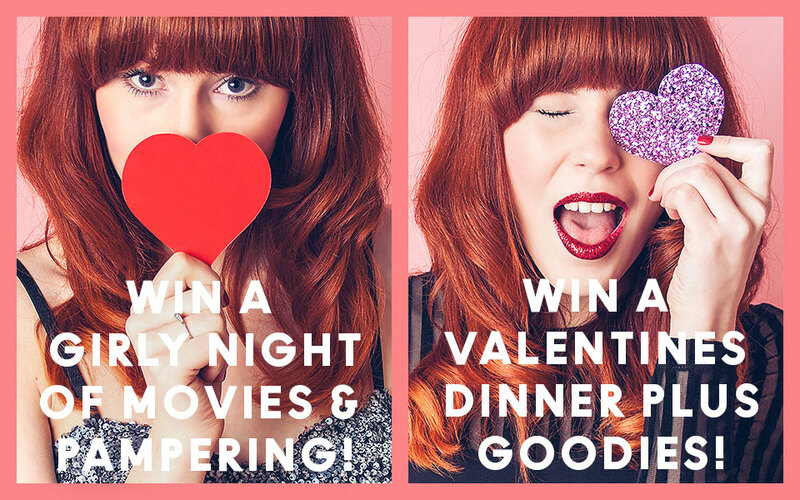 I've entered them both, and really want to win the night in because my boyfriend is going to be away for Valentines and I really do love Dominos Pizza! Sorry to hear that your job didn't work out :( Love these pictures, I want the model's hair!